Pilgrim St are Peadar Farrelly on Guitar and Vocals, Singer/Songwriter Eugene Donegan on Banjo and Vocals, Eoin McDonnell on Mandolin and Vocals, Francis McGinn on Bass, Mark Lynch on Dobro, Brendan Kelly on Accordion and Vocals and Cathal McQuaid on the Fiddle. 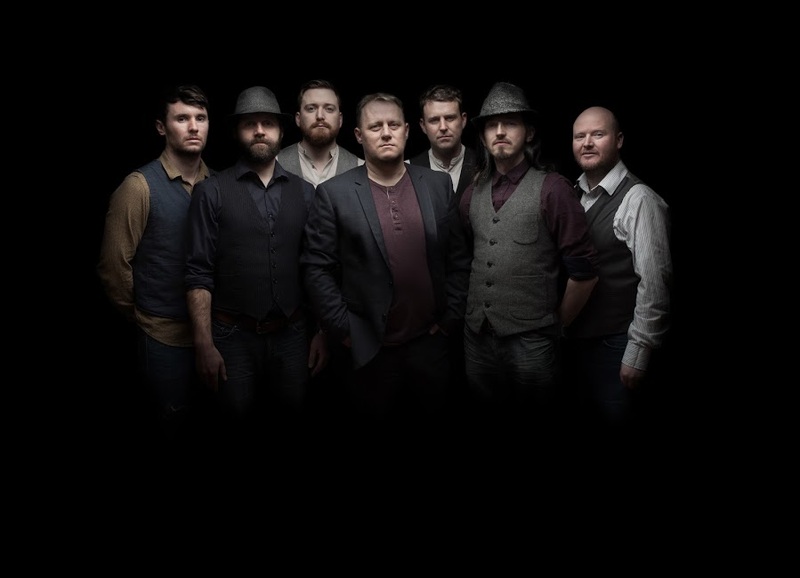 Their powerhouse live performances are a high energy mix of Bluegrass, Old Time Country and Folk Music fused with traditional folk songs from this side of the Atlantic. A string of acclaimed live appearances – at Electric Picnic and Vicar Street among others – have made the Irish music world sit up and take notice. They released their raucous sing-a-long feel-good single My Little Blackbird in June with the EP Pilgrim St, produced by Oisin Leech of The Lost Brothers, out in September. If you’re a fan of infectious melodies, harmonies and songs delivered with excellent musicianship in a party atmosphere this is definitely a gig for you.